Like the Baleno, the Ignis name has been brought back by Japanese brand Suzuki after a lengthy hiatus. Actually, that’s not the only thing the two cars share – they are both built on the same lightweight platform. The Ignis however, is a better looking car if you ask me and one that is bound to bring younger customers to the Suzuki brand. When I saw the first pictures of the Ignis last year, I remember thinking how fresh and bold it looked. With its cute face and big eyes, this has something of a playful puppy look to it. 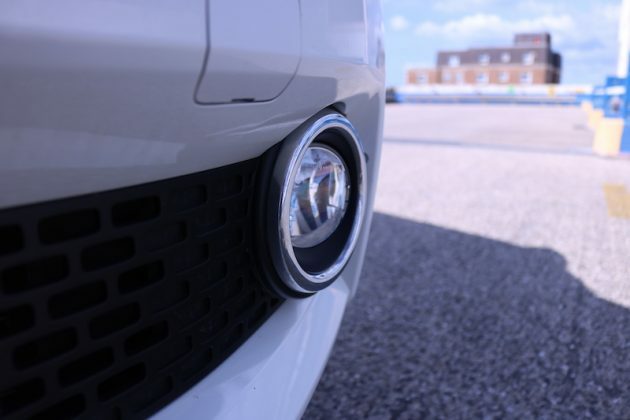 The SZ5 model tested here comes with chrome surrounds on the front end, which compliments the funky LED daytime running lights. SZ-T and SZ5 models come with black alloys, which I rather like, just be sure not to scuff them though! The base model makes do with steel wheels, but given its cheap price that’s to be expected. 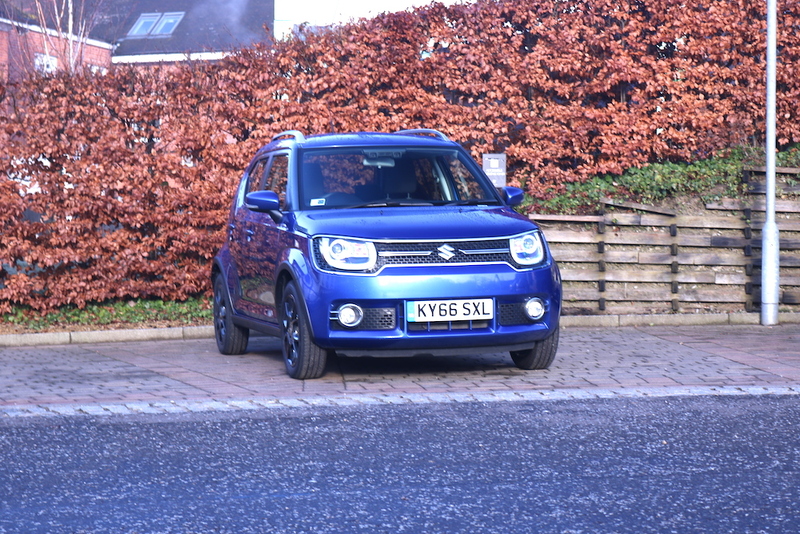 The Ignis comes in a whole host of vibrant colours, my favourite of which is the Boost Blue. The model on test however, came with the optional two-tone look of Pure White Pearl with a black roof. It looks rather good and it reminds me of a Double Stuff Oreo, although this option will cost you £650 though, so bear that in mind. I love the playful styling of the new Ignis. 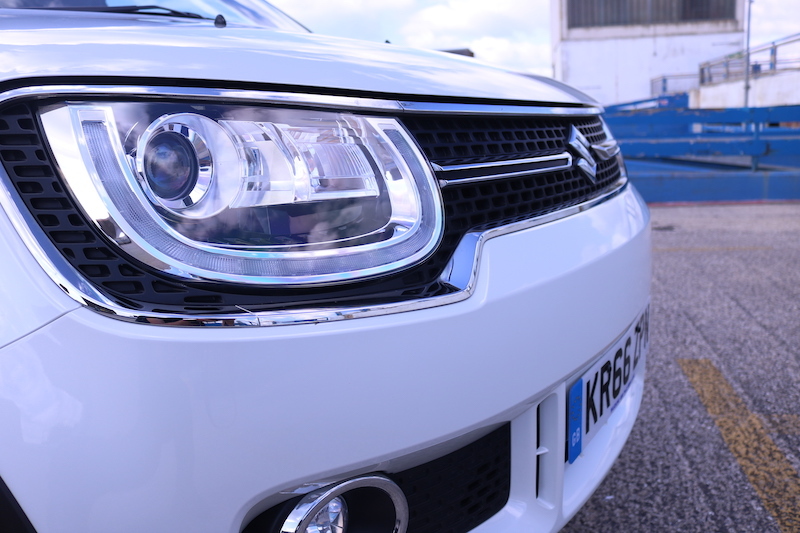 The top model comes with a chrome surround for the grille, which I rather like. 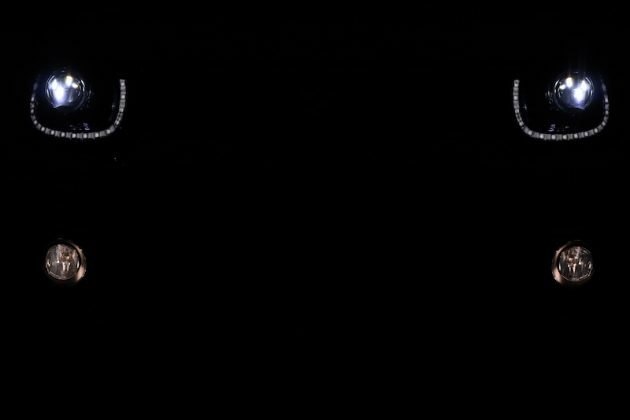 It compliments the LED headlights rather well. 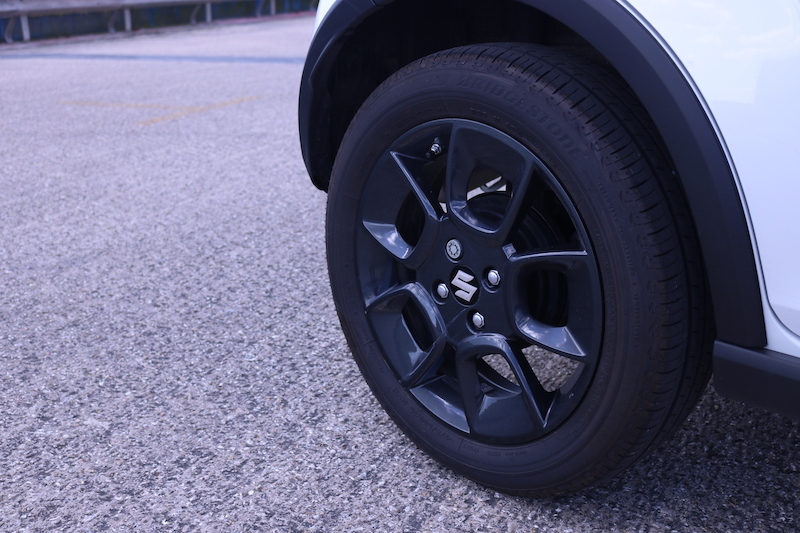 Black alloys come as standard with the the SZ-T and SZ5 models, which look great with whatever colour you choose for the body. 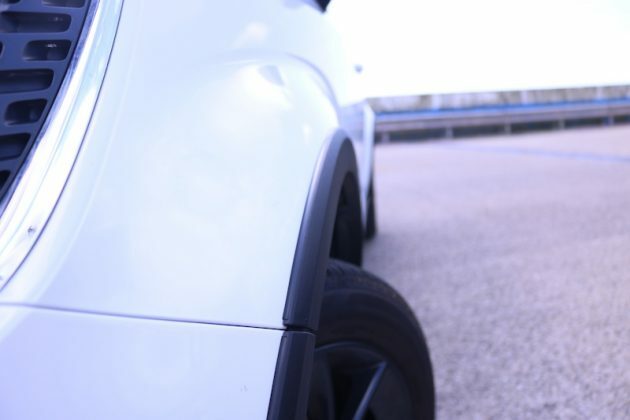 Flared wheelarches with plastic moulding also feature on SZ-T and SZ5 models. Recognise this? This design has been inspired by the Whizzkid from the 70s. Pure Pearl White is the colour of this model, which looks great with the optional black roof. 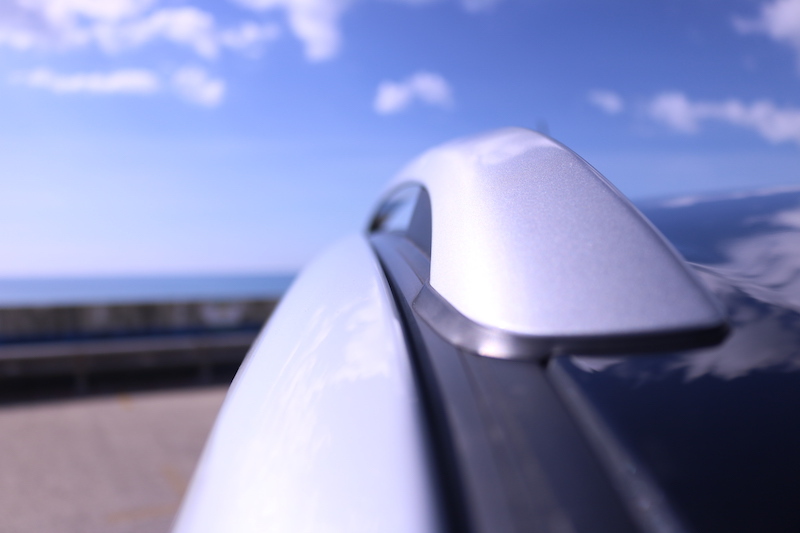 Roof rails - a must for any SUV. 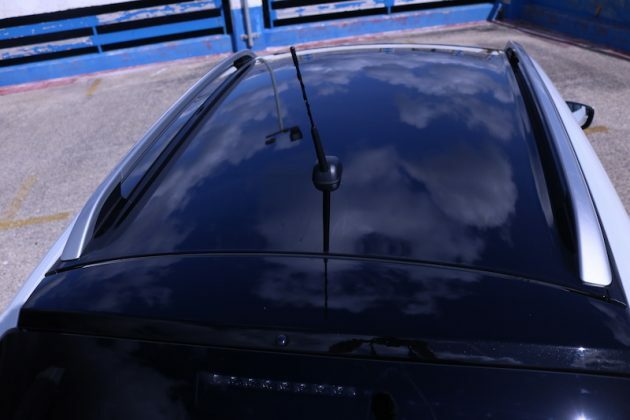 The two-tone means a black roof - a £650 option. The rear definitely let's the styling down somewhat though. The orange trim is a welcome addition inside. The Whizzkid design inspiration continues inside. The orange accent also extends on to the seat which I rather like. 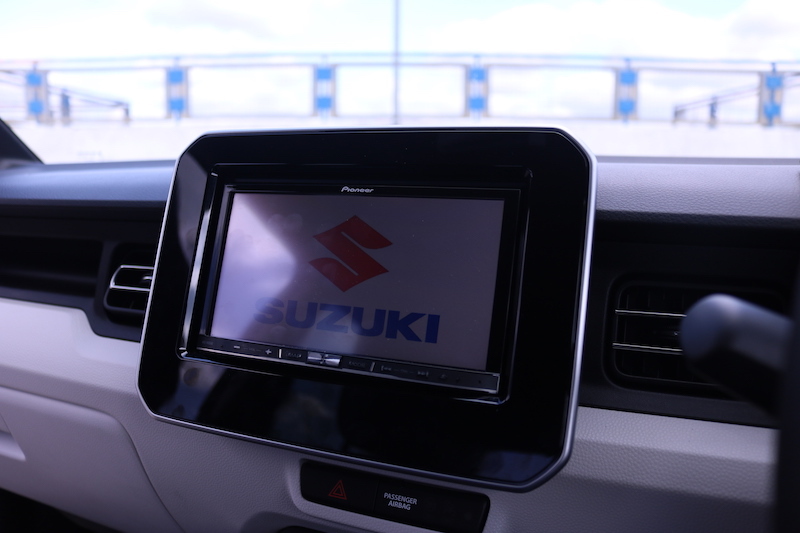 The instrument cluster is simple and easier to read with a pleasant blue graphic running along the top. I'm not a fan of the two dash in all honesty. 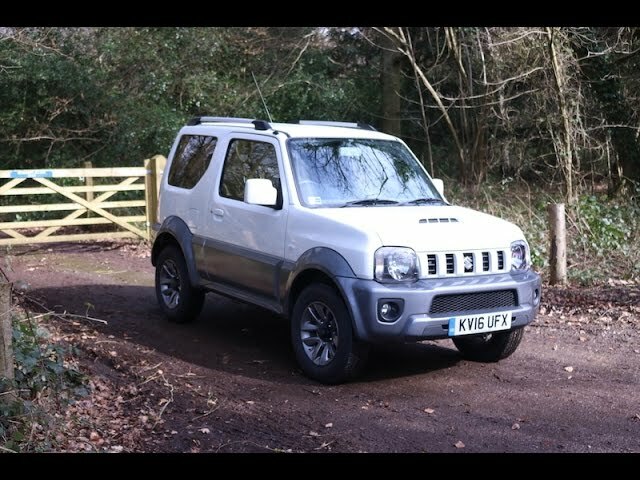 The car’s profile is dinky, with a small wheelbase and a swooping rear reminiscent of Suzuki’s ‘Whizzkid’ from the 70s. I like this touch although the rear of the car itself is far from its best angle if you ask me. Step inside the cabin and you’re greeted with fabric seats with an attractive orange accent on them. 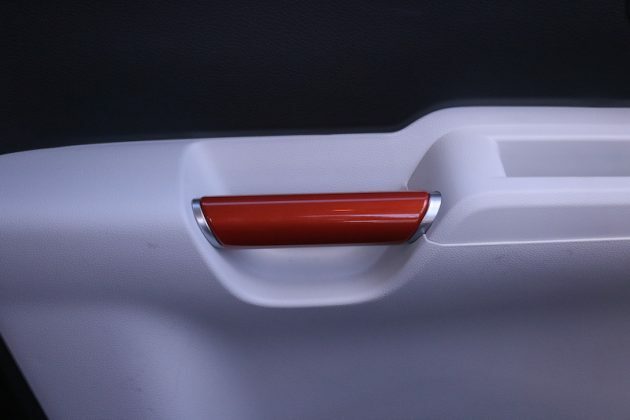 This orange accent also extends on to door pulls and the centre console, helping to give the inside some character. Other model colours come with black trim, although there are options to further personalise the inside if desired. I’m not sure of the white plastic trim, as it cheapens the inside somewhat, plus it’ll will be easier to scuff. Those aren’t the only cheap plastics though, but as the car is of cheap price and low weight, that’s to be expected. The instrument dials are vibrant, with a nice light blue graphic running across the top. Suzuki is no stranger to good value, and that continues in the new Ignis. Even the base model SZ3 priced at £10,249 comes with a fair bit of equipment. Buyers can expect front electric windows, DAB radio, Bluetooth, air conditioning, privacy glass and a CD player. 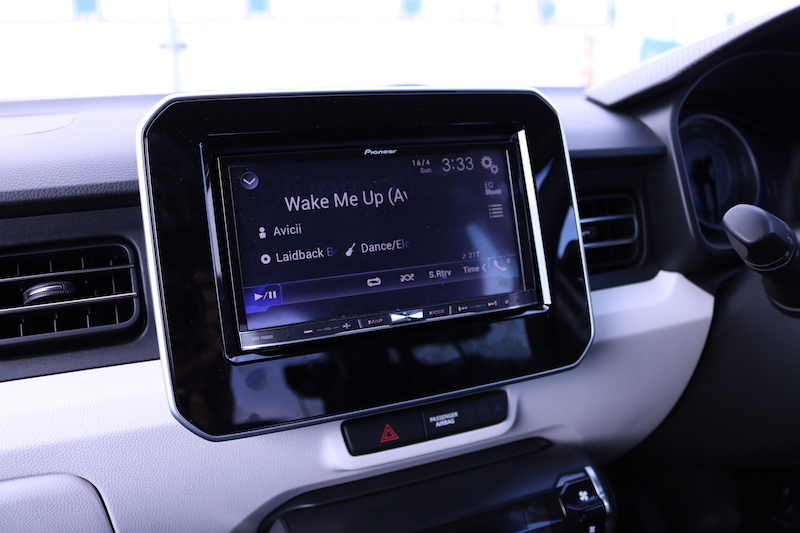 Strangely, it has USB ports but not a port for an aux lead. This unlikely to be a deal-breaker, but I thought it worth noting. 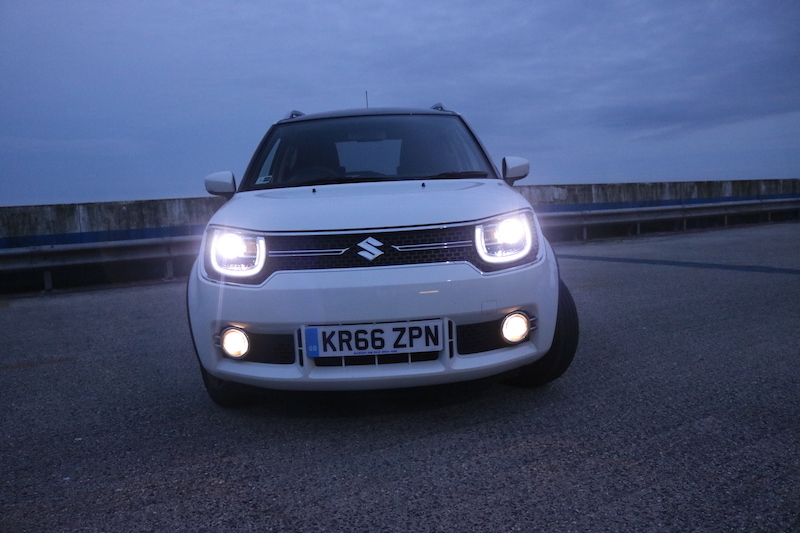 LED headlights and daytime running lights come as standard with the range-topping SZ5 - as do front foglights. 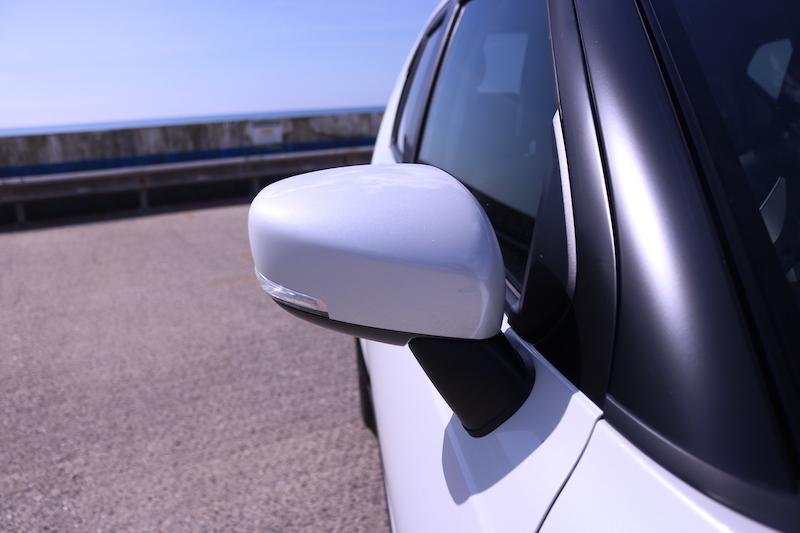 Front and electric windows come as standard, but only on the SZ5 - lower trims make do with front only. 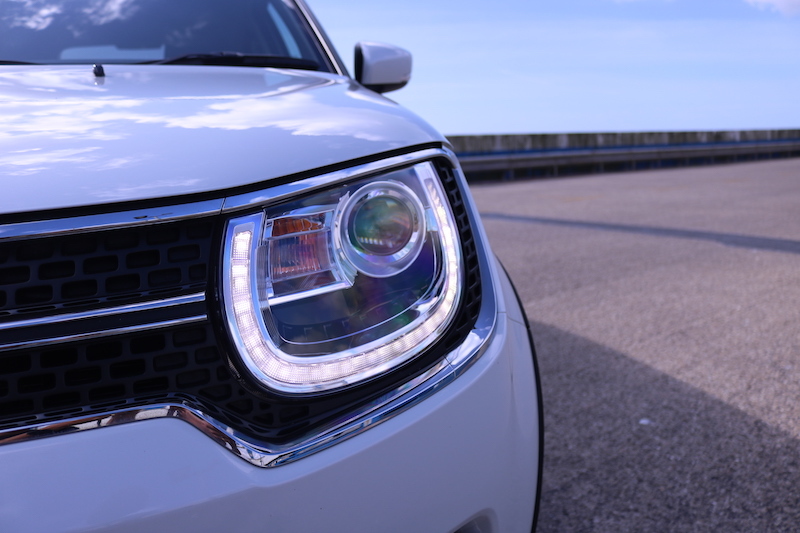 I really like the design of these daytime running lights. 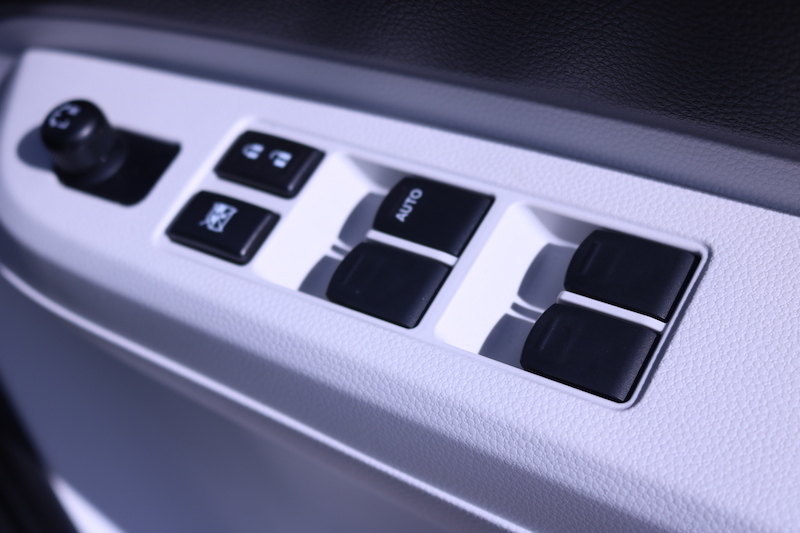 Auto air conditioning comes as standard, which is operated by nice,chunky buttons. The Pioneer system is far from perfect, but thankfully it will be replaced. 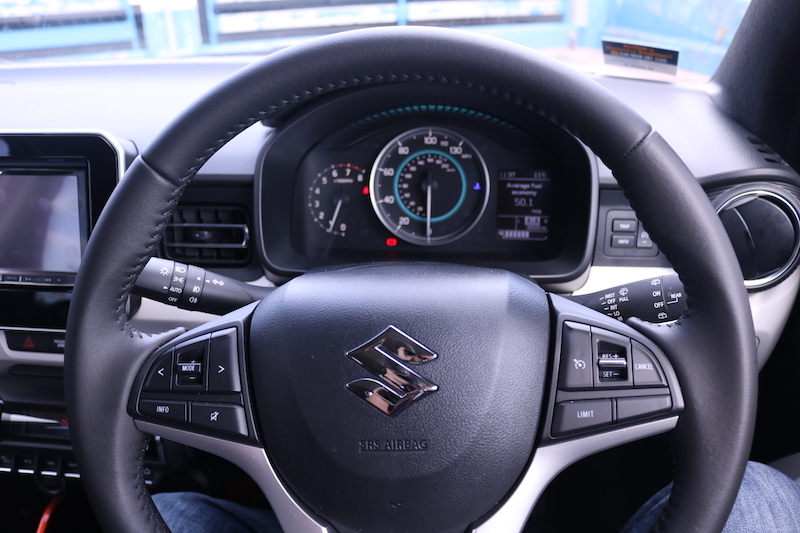 The steering wheel has plenty of buttons for ease of use. 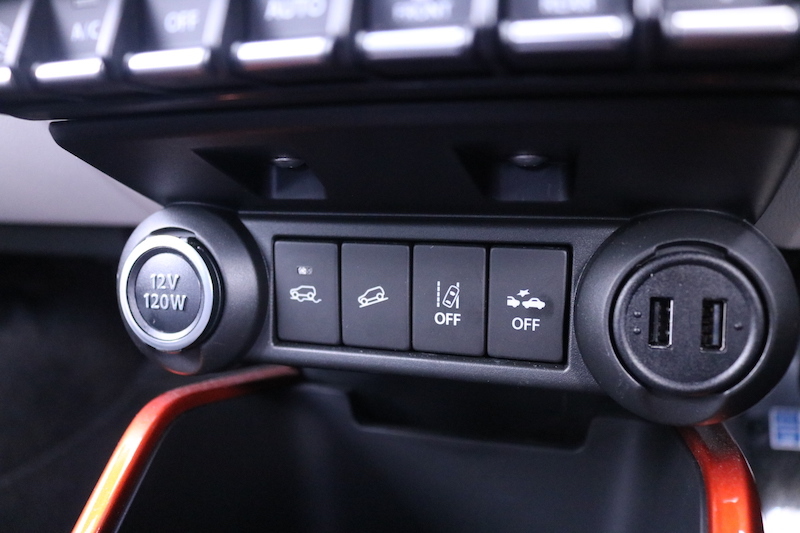 There are also off-road functions but they are unlikely to be used. Lane departure warning and AEB are also in this model. 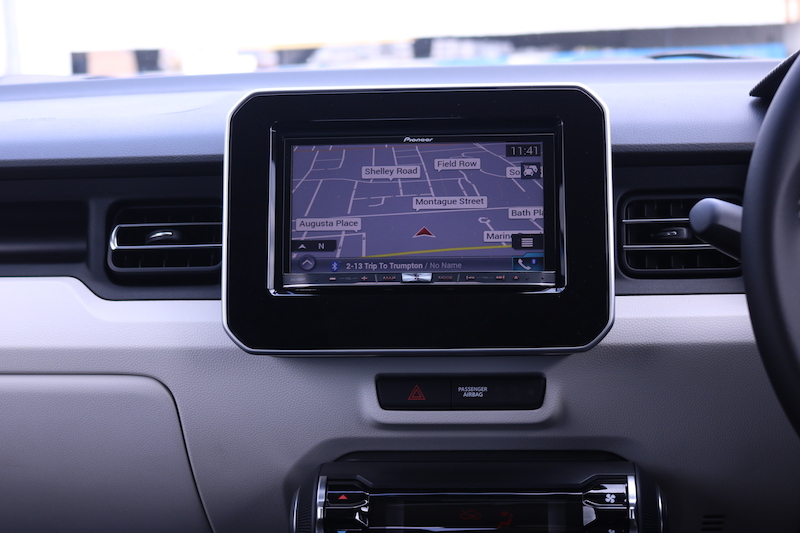 The sat nav system works pretty well and I didn't encounter any problems with it. Interestingly the Pioneer system gives the option for AUX despite there being no port. 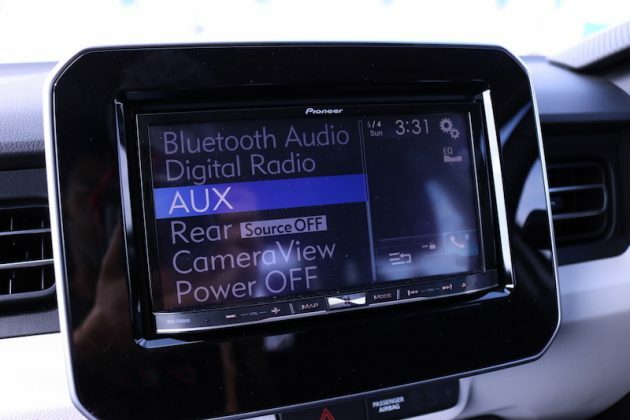 The Bluetooth system worked well, although it did go funny one day and kept disconnecting my phone. Re-pairing the device fixed the issue though. There is also a rear facing camera, but no sensors. 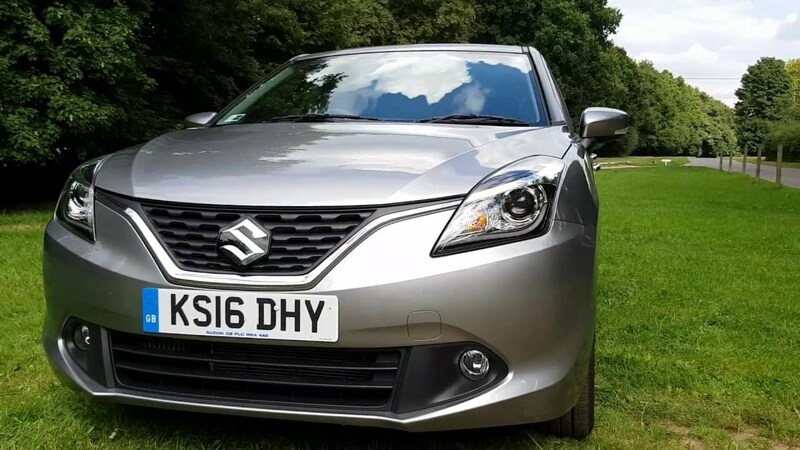 Pay £1,500 extra and you’ll get the mid-range SZ-T model, which adds roof rails, 16″ black alloy wheels, satellite navigation, rear-facing parking camera and wheelarch extensions with side mouldings. 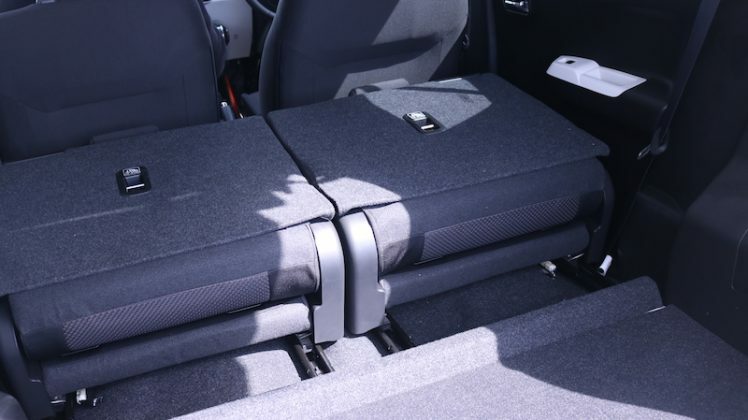 You do actually get one less seat in the rear, but the two seats can slide backward and forward by 165mm to either give rear passengers more legroom, or to make the boot larger. 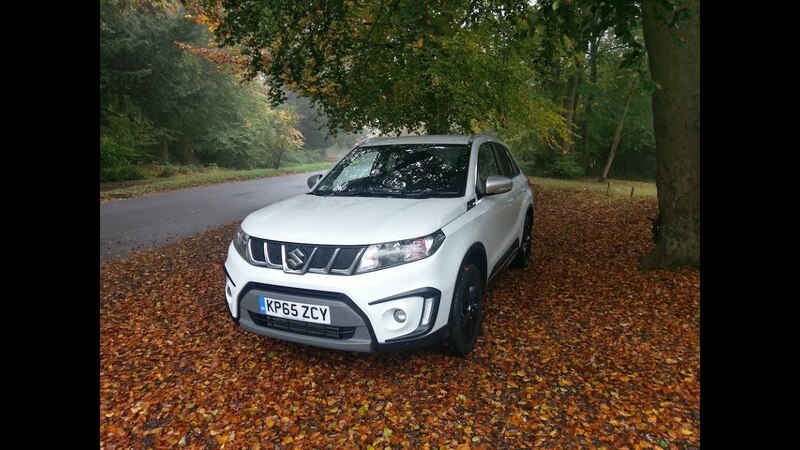 The range-topping SZ5 model is priced from £13,249, which adds LED headlights and daytime running lights, front foglights, rear electric windows, leather steering wheel, keyless entry/start, automatic air conditioning, cruise control and Suzuki’s dual camera camera support system. 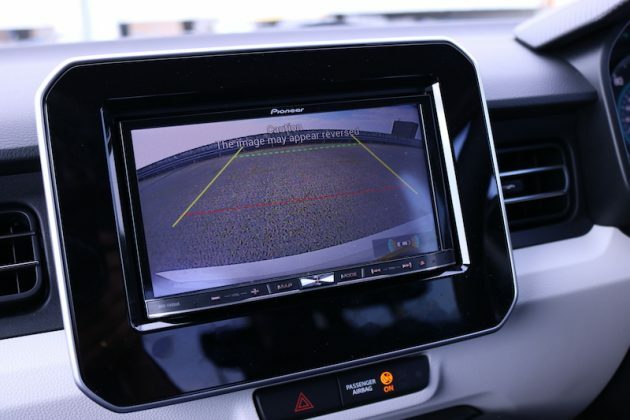 It also has a rear facing camera, but it would be nice to have parking sensors as well. The Ignis may have citycar dimensions, but don’t think you’ll be cramped in there. Getting a decent driving position is fairly easy but I would have liked the steering wheel to adjust for reach as well as rake. 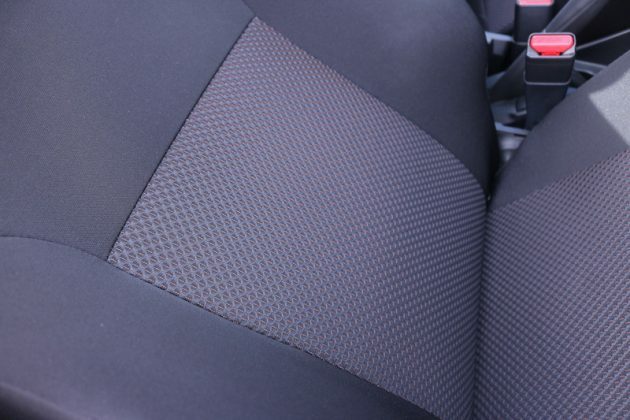 The seat has a decent amount of adjustment though, so this does help matters. 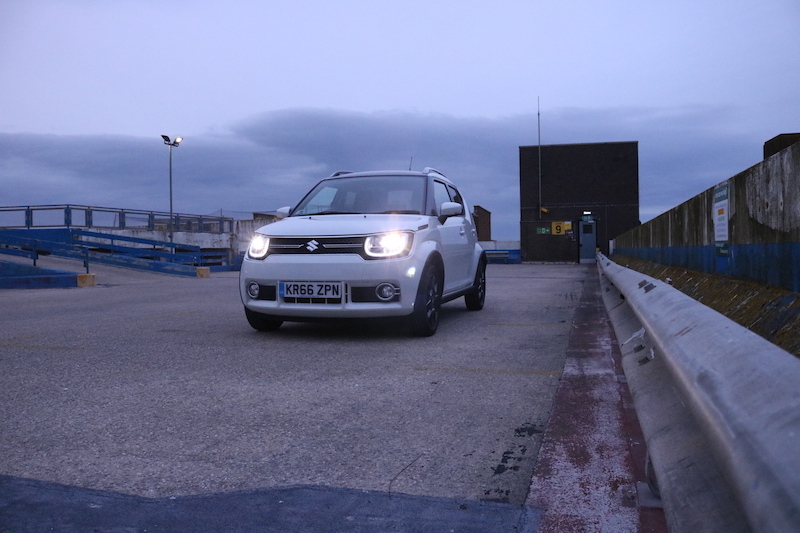 There is plenty of headroom in the front, thanks to its compact SUV shape. 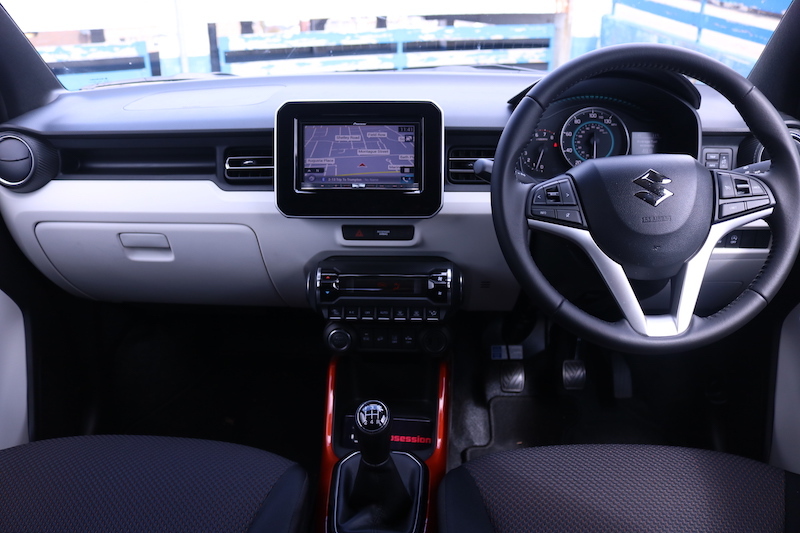 The SZ-T and SZ5 models feature two seats in the rear that can slide backwards and forwards, meaning you can increase legroom in the rear if desired. 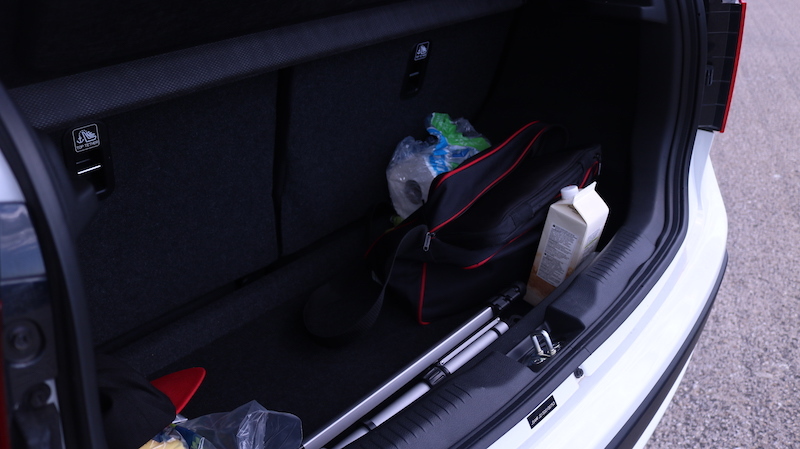 This will of course mean that you will have to sacrifice room in the boot. 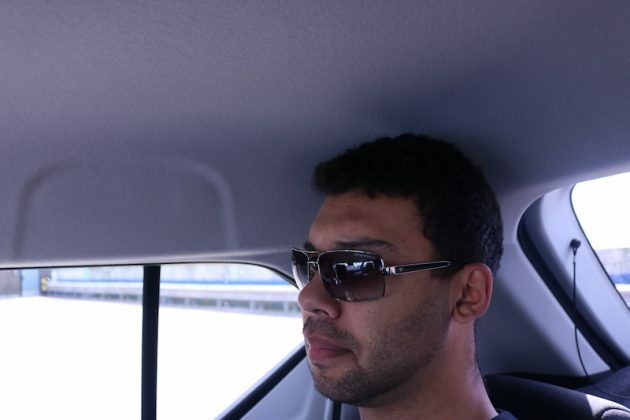 Headroom is pretty decent in the back, so most passengers should be able to make themselves comfortable in the rear. 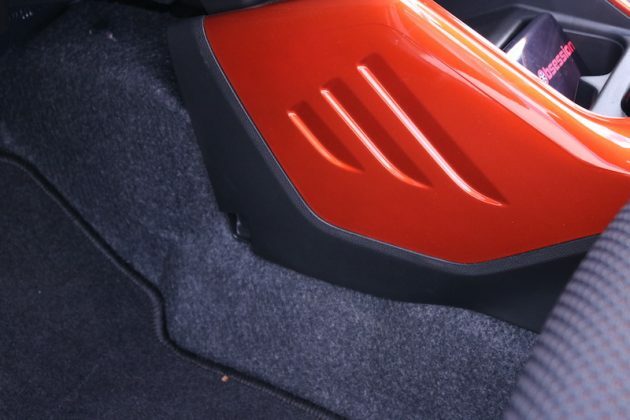 204 litres is offered in this model - ditch the four-wheel drive and you'll be able to enjoy more though. 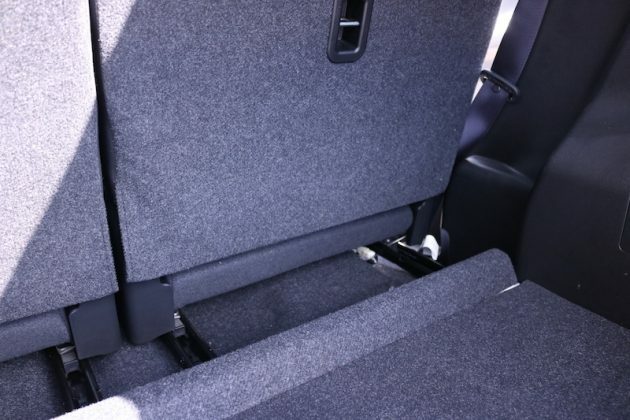 The rear seats can move backwards and forwards to either increase boot size or legroom. 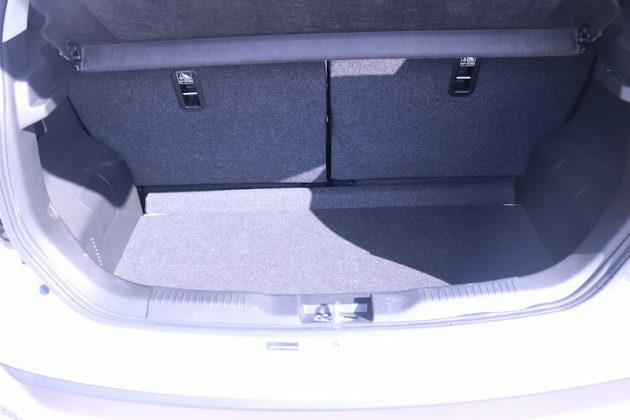 The boot can be increased to 490 litres with the seats down, but there is not a flat load floor. You won't be able to fit much in the boot, but it should be enough for a weekly shop. 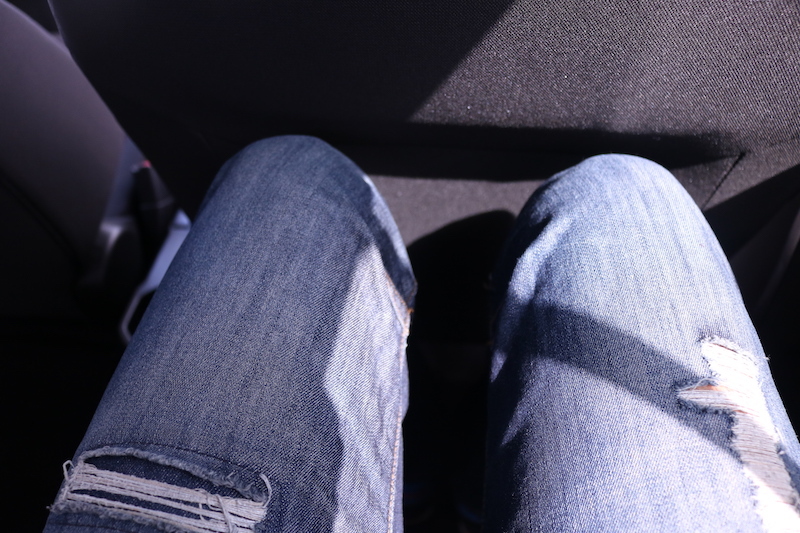 Legroom is decent in the back, even for taller passengers. Headroom's not too bad either. 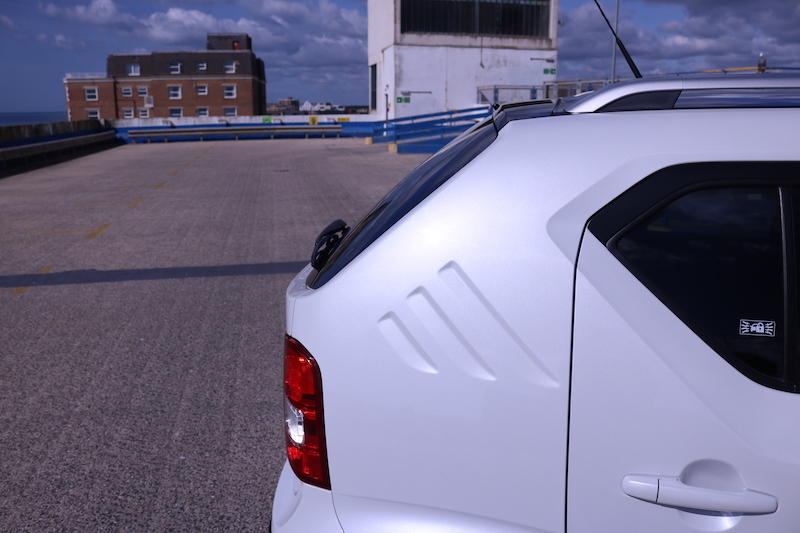 Out on the road, the ride is compliant and soaks up most bumps well, but sometimes the car will thud over some bumps, which can be a bit of a nasty shock for those inside. However, that’s not an often occurrence and you should find the Ignis perfectly comfortable for the majority of the time. 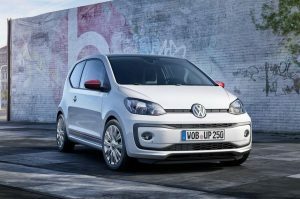 The boot is certainly not the biggest, but seeing as its main rivals will be cars such as the FIAT 500 and the Volkswagen UP!, it’s pretty respectable. 267 litres are on offer in the base model, which can be increased to 501 with the rear seats folded. 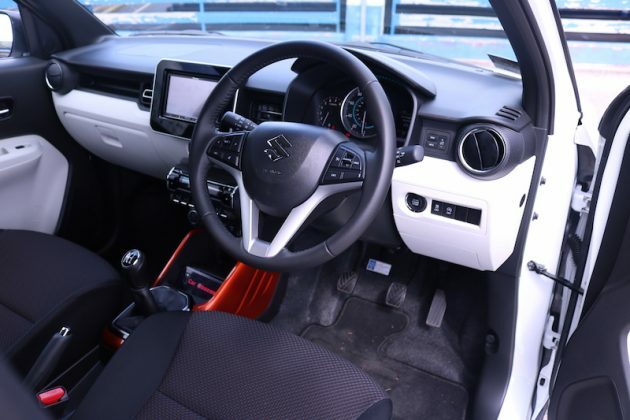 The model tested here has the two rear seat layout of course, plus it has the four-wheel drive system, so it’s a tad smaller with a starting capacity of 204, which can be increased to 490 with the seats down, although there will not be a flat loading area. There’s just one engine on offer in the Ignis, which is a 1.2 litre naturally aspirated petrol unit that produces 89bhp. This can either be mated to a 5-speed manual or a 5-speed automatic if you choose the SZ-T or SZ5 trims. The SZ5 also makes use of a mild hybrid system called SHVS (Smart Hybrid Vehicle by Suzuki), which helps to boost economy as well as giving the engine a helping hand under acceleration. This means you’ll hit 62mph in 11.4 seconds in the two wheel drive model and 11.1 seconds in the all-wheel drive model. 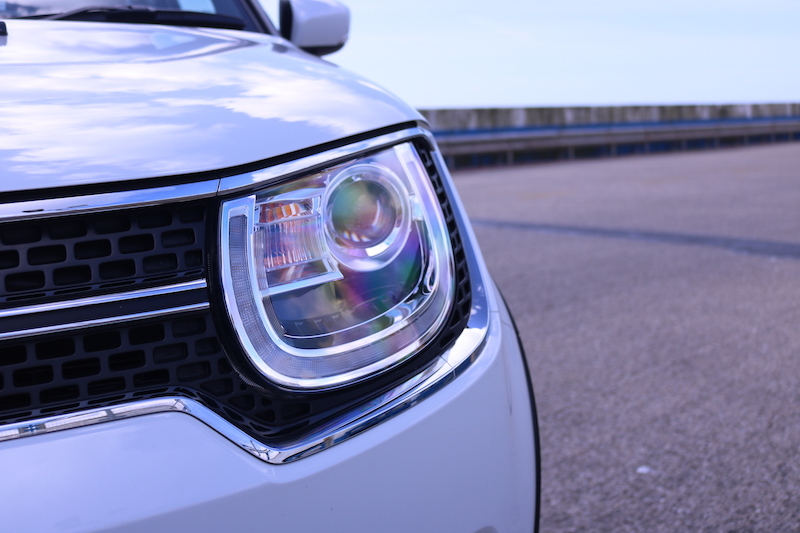 The all-wheel drive does have a slightly slower top speed of 103mph compared to the two-wheel drive’s 106mph. 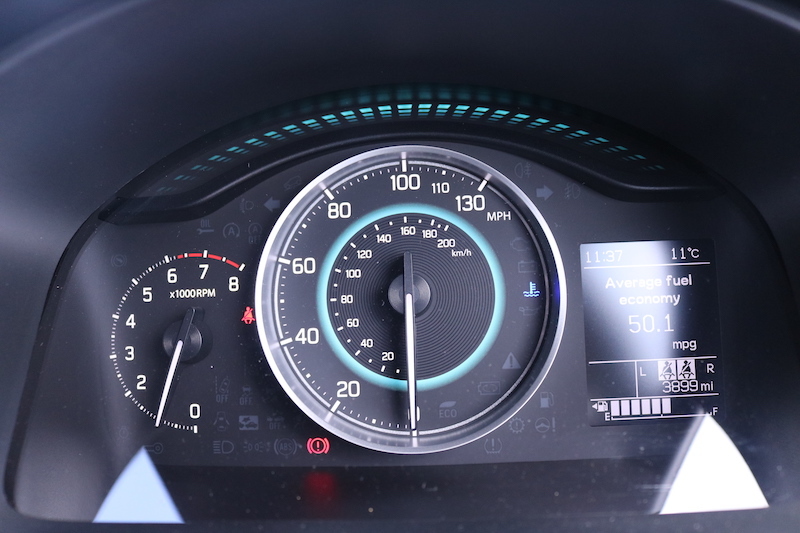 Without the mild hybrid system, you’ll hit 62mph in 11.8 seconds with the same 106mph top speed. On paper it doesn’t seem very rapid, but around the time the engine if rather fizzy and peppy around town, although it will struggle on the faster roads. Not only that, but it becomes rather noisy as well, so best keep the Ignis in the city where possible. 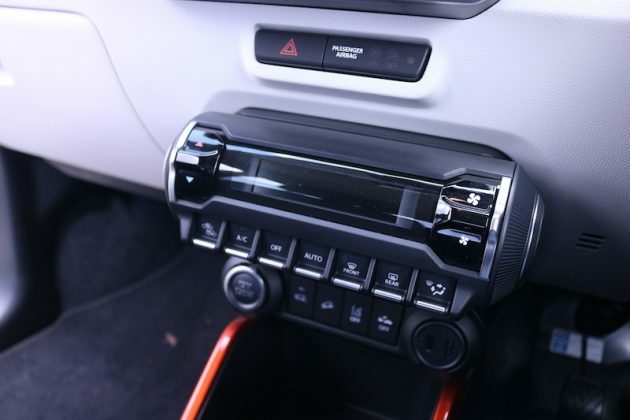 The 5-speed manual is precise enough and its throws are light, as are the pedals and steering. 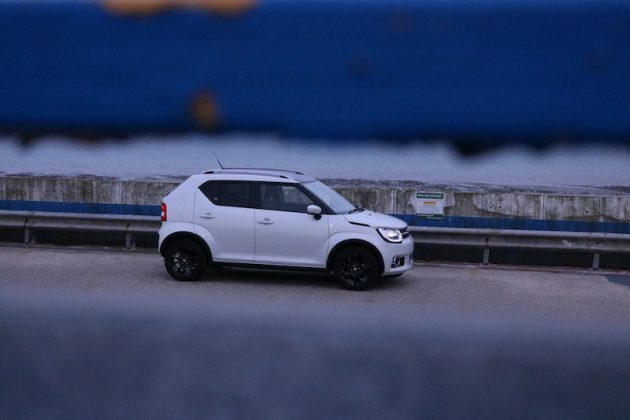 This makes the Ignis a breeze in and around town, plus the high, SUV driving position offers good visibility, although the C-pillars are rather thick. Other than that, you should have no problem whatsoever navigating car parks or narrow roads. 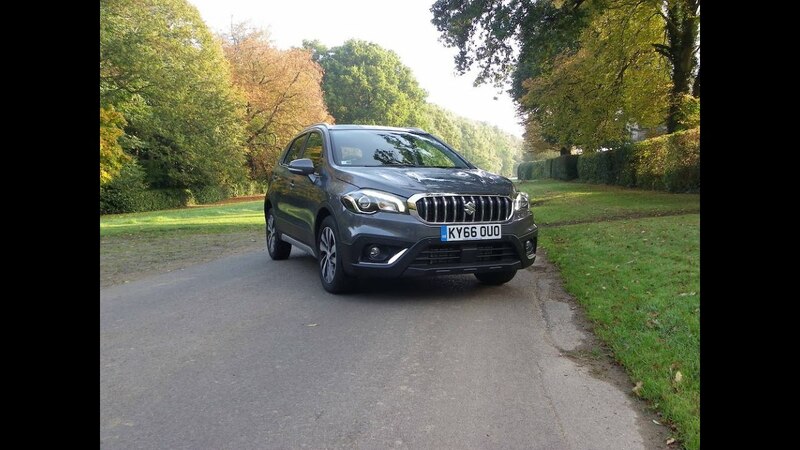 The car may have skinny tyres, but thanks to its four wheel drive system it grips well through the corners, although you will definitely notice some body roll. Blimey, I completely missed that apex, I blame the steering! 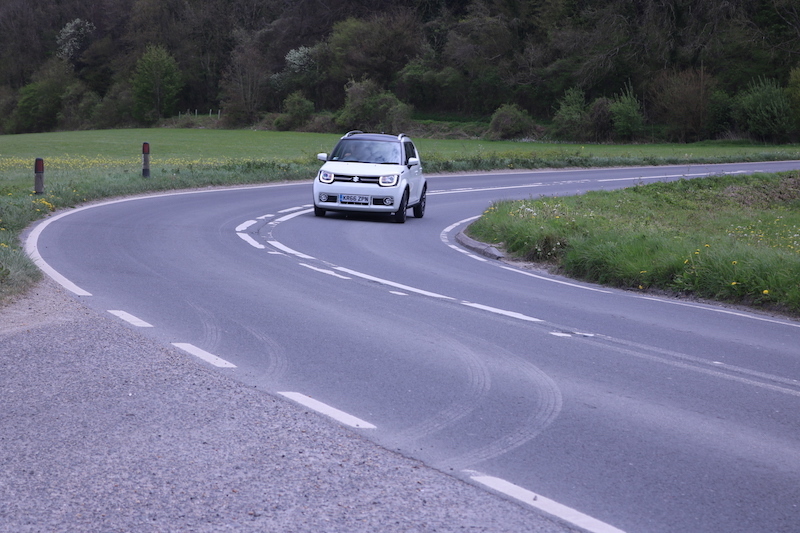 Despite this, there is still an element of fun to be had by chucking the little Ignis in to corners to test how much grip is really on offer, although the numb steering definitely provides a fly in the ointment. 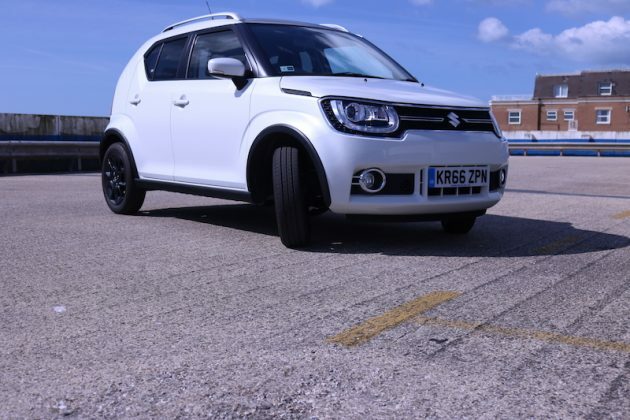 I would personally love to see Suzuki build a Sport model of the Ignis and seeing as the brand has done it before, I can’t see why there would a strong objection to do it again. 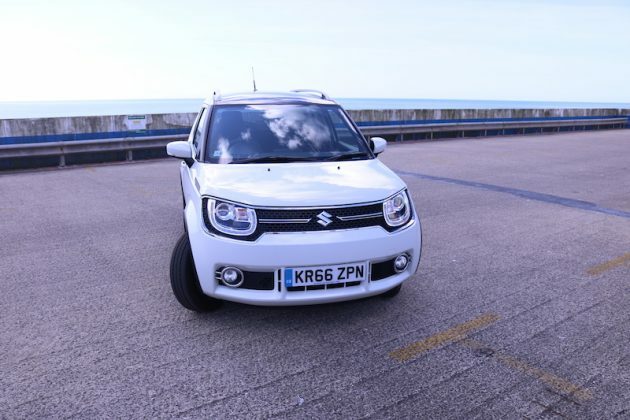 This model has got four-wheel drive and it’s got features such as hill descent control, but let’s be brutally honest, how many times is an Ignis really going to venture off tarmac? Especially as those black alloys would love rather nasty if they were scuffed. Of course, it will prove to be valuable for those living in rural areas or for when the roads get icy, but personally I’d recommend the two-wheel drive model as it feels a bit more agile and playful. Thanks to its mild hybrid system and low kerb weight – 920kg for this model – the Ignis is rather frugal. 60.1mpg is the combined mpg figure, and although I didn’t quite get that, although I was still able to push 55mpg at times. In regards to CO2 emissions, 106g/km are emitted by this four-wheel drive model, but ditch that and keep the SHVS and you’ll find it drops to 97g/km. 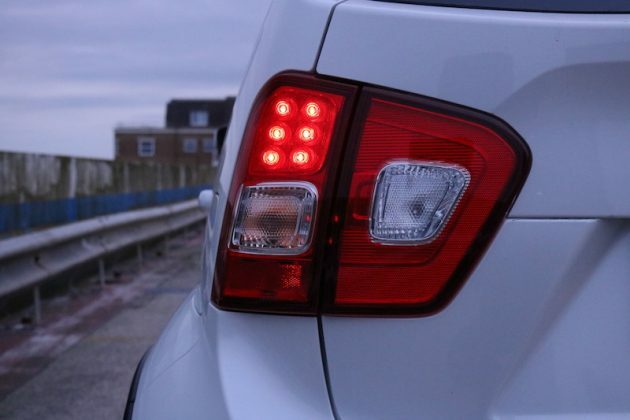 MPG also rises – 65.7mpg to be precise.Even without the mild hybrid system the Ignis is not what you’d call thirsty. 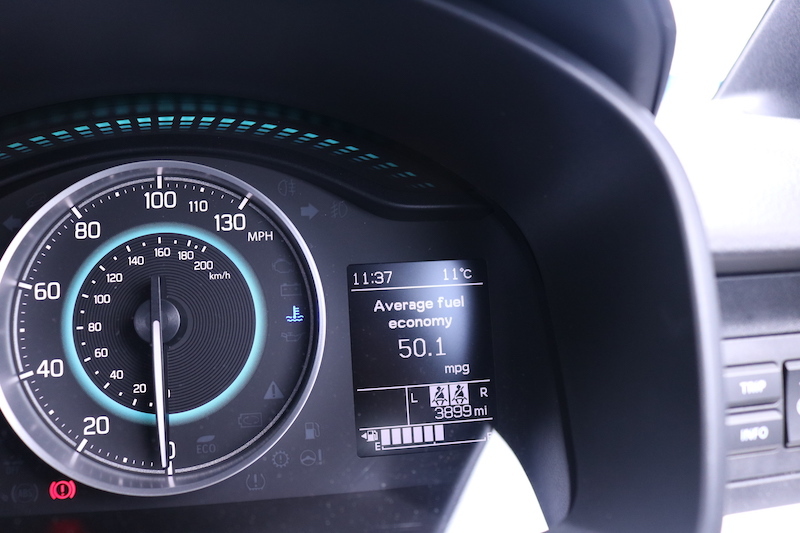 The combined figure sits at 61.4mpg and the CO2 emissions emitted are 104g/km. 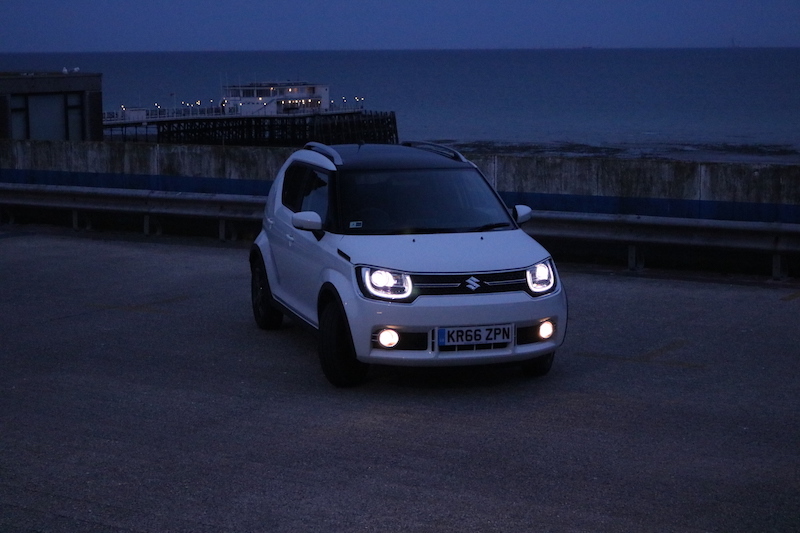 The Ignis is not a perfect car, but it has got plenty going for it. 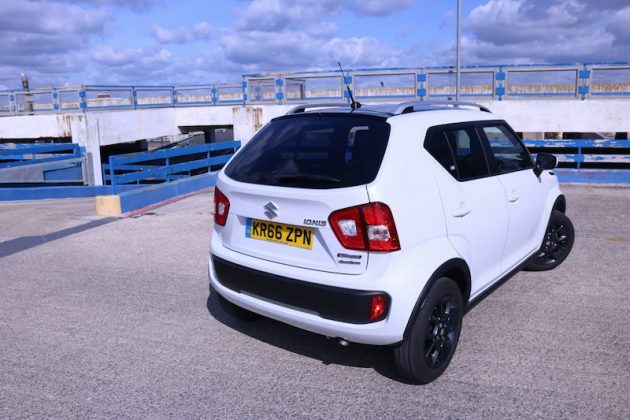 It’s got bubbly looks, plenty of kit and it’s more spacious than you expect it to be. The rear styling is of course is bit iffy and the interior plastics could be better, but because this car is cheap I’m sure you’ll forgive it for that. 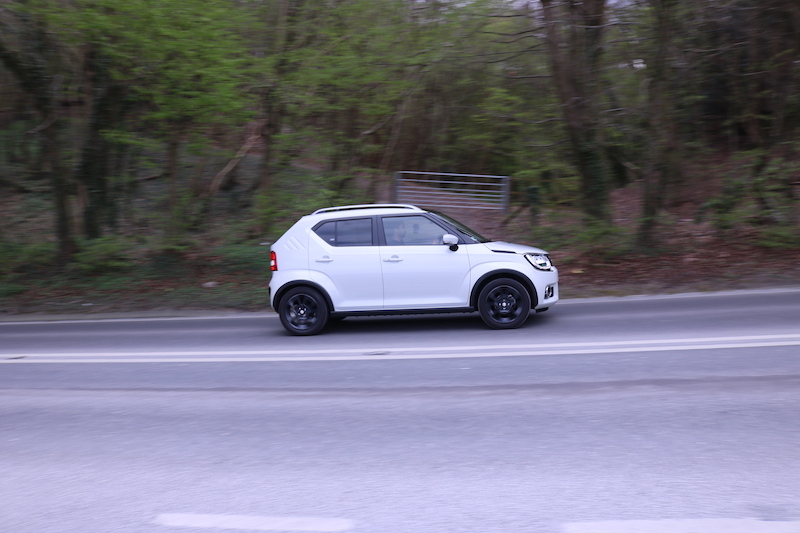 This is car doesn’t really conform – it’s not a really a citycar, but it’s not really an SUV either. 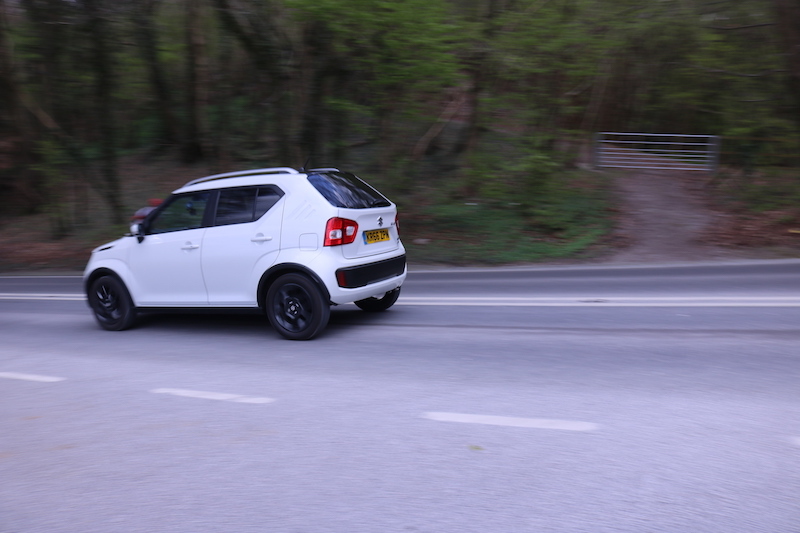 It is however, the Ignis does represent a funky alternative to cars such as the FIAT 500 and the VW Up! I really think Suzuki is on to a winner here, but I would love to see a Sport model in the works. 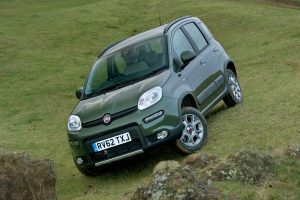 The FIAT is easily one of the most popular city cars on the market thanks to its small dimensions and its retro styling. 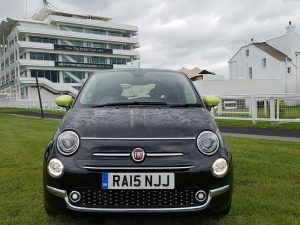 It’s also rather good fun to drive, but it doesn’t represent the best value for money. This too, is another popular citycar, but it’s more unisex than the 500, plus it offers more room. Again though, it can be an expensive buy, plus the looks aren’t as funky or outgoing as the Ignis. 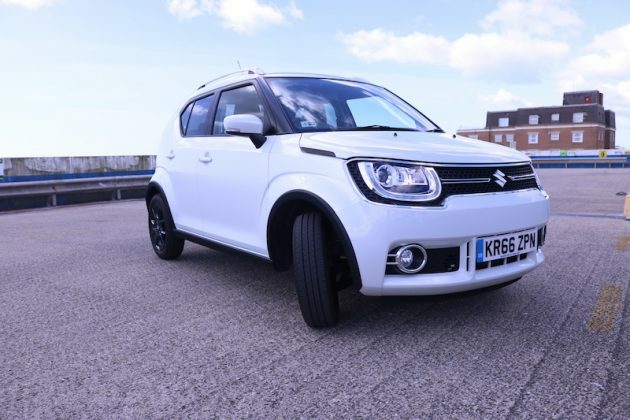 The Panda 4×4 is a more natural rival to the Ignis as its an SUV with four-wheel drive, but it’s looks don’t have the same charms as the Ignis, plus it’s more expensive to buy. It’s also a bigger car, so that may put some buyers off.